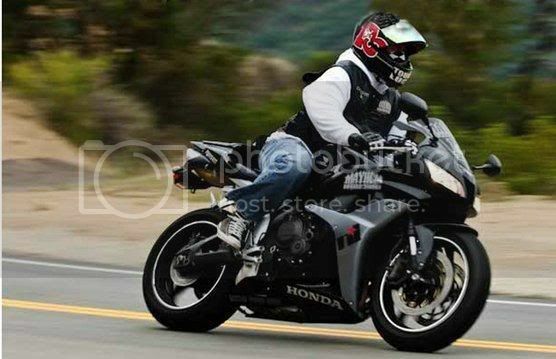 ill be picking mine up next month! Gotta get a new tire and pay some other stuff real quick! ^^------ Is this from ad stitch? I got mine off of king and love it but im diggin this style... I think I might have to pick up this style as well!! 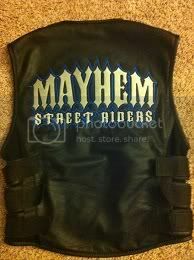 so can find me a mayhem patch that is 16 inches m to m and 14 tall?. 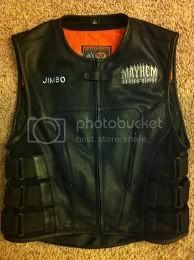 its fucked up no one can get me a 17 in patch..wtf is up with that.. they can stich a vest but cant make me a fucken 17in patch for my vest..